Brahms's German Requiem makes a deep impression on both performers and audiences alike: its emotions touch and move us. It has also preoccupied Helmuth Rilling throughout his life. Following on from the enthusiastic reception of the German-language original edition, his book about this key work in the repertoire is now available in an English translation. 14 February is Valentine's Day! Whether it's this occasion, for an engagement, wedding or anniversary, our LIEBESLIEDER, especially the illustrated song book and the two CD collections, make an ideal present for new lovers and those still in love who are keen on music, and for all fans of the LIEDERPROJEKT! 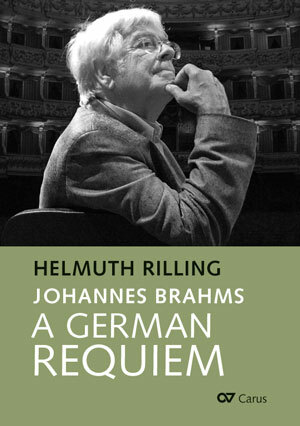 Helmuth Rilling has performed Brahms' German Requiem many times as a conductor. Drawing on his intimate knowledge of the score, in this book he examines the question of what Brahms wanted to express with his work, and which means he used to achieve this. 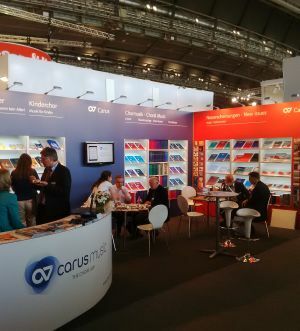 Following on from the enthusiastic reception of the German-language original edition (Carus 24.076), the book is now available in an English translation by Greta Konradt. During his most productive period as an opera composer, Camille Saint-Saëns also wrote some sacred works. 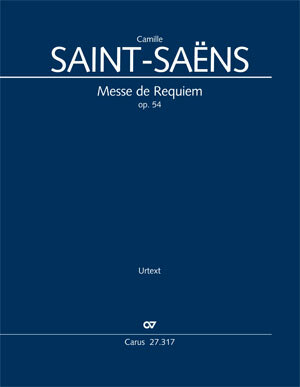 We have published the Requiem both with its larger orchestral contingent and, in order to perform the Requiem with a somewhat reduced scoring (without losing the special characteristics of the work), in a version with a smaller orchestra. The full score renders the Urtext of the Requiem with its original scoring, whereas the performance material is presented and conceived so that it may be performed using either the original orchestration or the version with a reduced orchestration. The wedding cantata For the righteous light is sown BWV 195 und the cantata They are all wating on thee BWV 187 for the 7th Sunday after Trinity are new available. 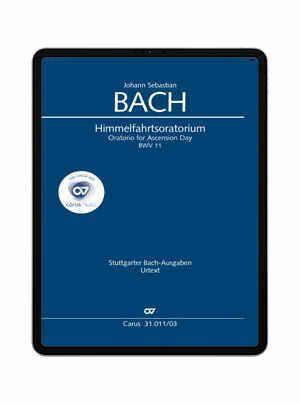 With the Bach vocal project we will complete the edition of the sacred vocal works of Bach by the anniversary of the Reformation in 2017. Two new sacred choral works by composer Vytautas Miškinis are published this month: the Pastoral Mass for mixed voice choir, soprano saxophone, percussion and piano, and the choral work Light, my light for four-part mixed choir or male voice choir and soprano saxophone. 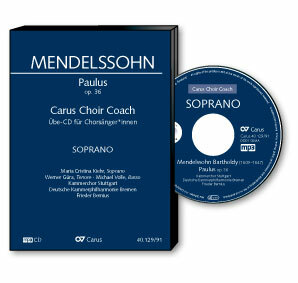 His first oratorio Paulus was probably Mendelssohn's most popular work during his lifetime. Carus Choir Coach offers choir singers the unique opportunity to study and learn their own, individual choral parts within the context of the sound of the entire choir and orchestra. For every vocal range four CDs containing each choir part are available. 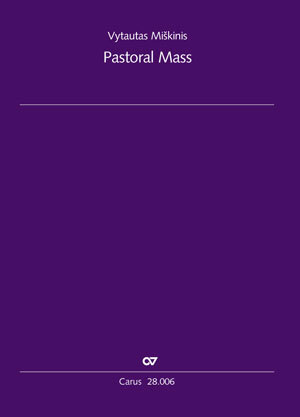 The work is also published in carus music, the choir app. Full score, vocal score and complete performance material are available. 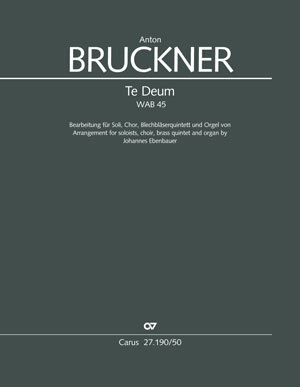 Carus published the original version of Bruckner's Te Deum for choir and large orchestra (Carus 27.190) in the fall of 2015. In order to make this work available for performance by smaller-sized ensembles, Carus now presents it in an arrangement for brass quintet and organ. With Vocal scores XL we are offering important choral works in reader-friendly large print. 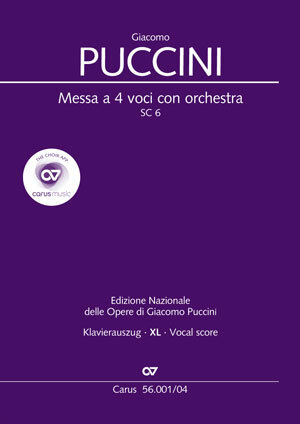 New available ist the Vocal score XL of the scholarly-critical edition of Puccini's only mass, based on the Urtext of the "Edizione Nazionale delle Opere di Giacomo Puccini". Both of the Luther CDs by Calmus, Luther Collage (new in February) and Mitten im Leben 1517 are currently “Classical CD of the week” on the Forbes magazine website. Superb timing, as Calmus is currently on tour in the USA! 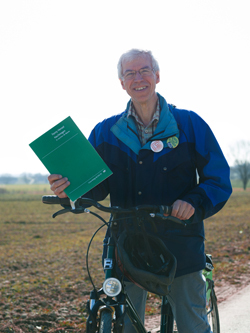 Another new release is a recording of works by Michael Praetorius. For the Reformation anniversary year 2017 the ensemble Gli Scarlattisti conducted by Jochen M. Arnold presents a selection of his larger-scale choral concerti.